In 2013, in the dark of Rising Star caves, South Africa, the team of Lee Berger from the University of Witwatersrand made a remarkable discovery – bones combining features seen in modern humans with characteristics seen in apes and much earlier human ancestors. 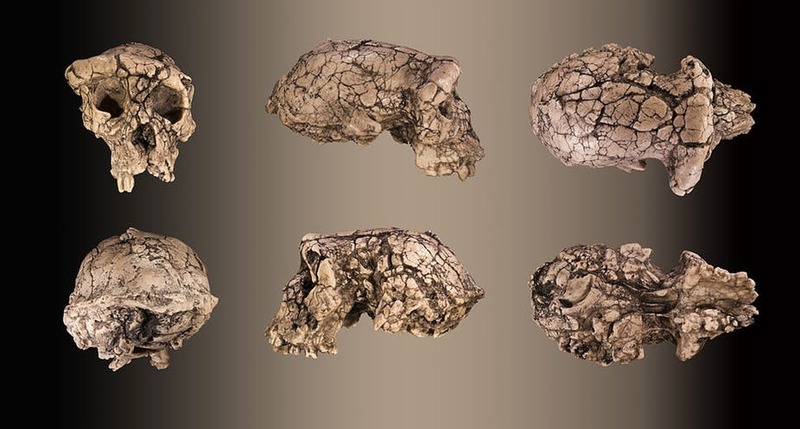 This new species, called Homo naledi, shakes up our understanding of early human origins. It is by no means the only recent discovery to do so. The world of paleoanthropology – the history of our species and its early relatives – is constantly evolving and often controversial. Our knowledge is built on fossil finds to date, and it takes only one discovery to throw conventional wisdom into disarray. In 2017 the earliest fossils of our species Homo sapiens were announced. But they were found, not in East Africa where the species was thought to have evolved, but far away in Morocco. The discovery turned our understanding of the age and distribution of our species on its head. Even in this rapidly changing context, Homo naledi is an unusual and game-changing discovery, combining evidence that challenges our previous understanding of both early human anatomy and behaviour. In 2017, the dating of the finds changed the picture again, as H. naledi was revealed not just as a cousin, but a neighbour of modern humans. First, some terminology. Like everything else in the field, how we talk about early humans has evolved over the years. The word “humans” itself can be confusing – do we mean only modern humans – Homo sapiens – the species alive today, or do we include other extinct species in our genus, such as Homo erectus and Homo neanderthalis? It’s best to be specific – modern humans are Homo sapiens, early humans are all the extinct members of the genus Homo. But what about our other ancestors? Our line split from the rest of the great apes around 6-7 million years ago, while the earliest members of the genus Homo are (controversially) dated to 2.8 million years ago. We call all the intervening species, along with modern and extinct humans, hominins. Some older texts use the word hominid instead, but nowadays that is used for the widest category, including all humans, all hominins, and all great apes and their ancestors. What distinguishes humans, early or modern, from other hominins? The exact definition has, like everything else in this field, changed over time. In the 18th century, Carl Linnaeus simply said “Know thyself” – i.e. to be part of the genus Homo is to be recognized as human. That idea was challenged towards the end of the 19th century, as fossils from Neanderthals and Homo erectus were discovered. These showed that humans were not a nuclear family of living H. sapiens but had several extinct relatives. Since then, as more fossils have been discovered, the qualifications to join the club have changed, expanding and contracting. At one point the hominins now known as Australopithecus went under the name of Homo transvaalensis, while Homo erectus was once known as Pithecanthropus. Homo habilis, the earliest generally accepted member of our genus was added in the 1960s, partly because of their association with stone tools. 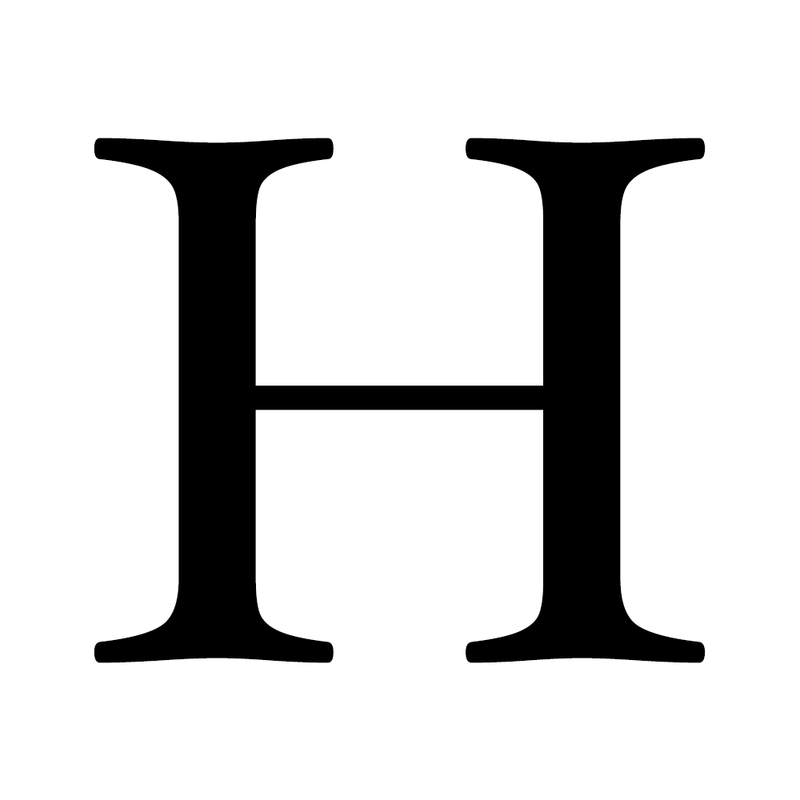 However, a significant number of scientists now argue that habilis is not advanced enough to be Homo. Suggested features for identifying early humans include the shape of specific features in the jaw, teeth and skull, but it is clear that there is as much diversity of opinion among paleoanthropologists as there is in the fossils themselves. The markers for members of the immediate human family and the markers of new species are subject to debate. The discovery of Homo naledi in Rising Star caves was remarkable for the number of fossils found. Hominin fossils are rare, so conclusions in paleoanthropology are often drawn from just one or two specimens. For example, that oldest (possible) Homo habilis fossil from 2.8 million years ago is just a single jaw. Homo naledi is different. 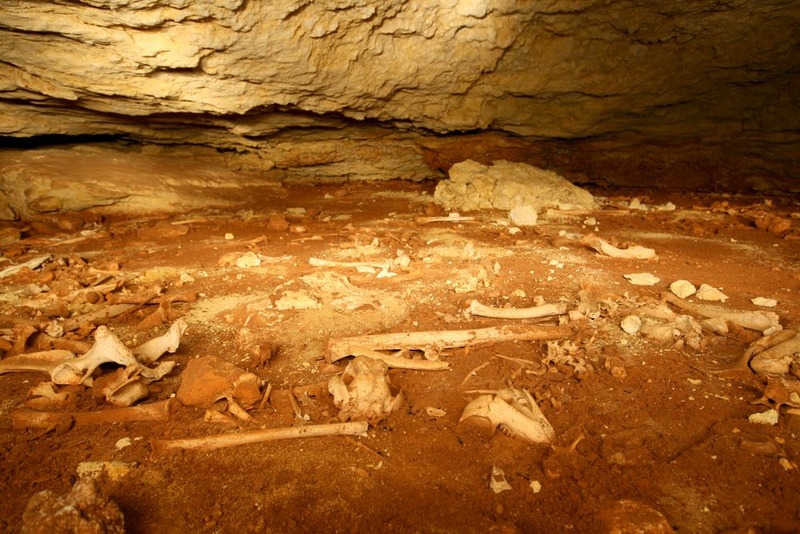 Over 1500 fossils were brought out of the Rising Star caves in 2013, which when sorted show that at least 15 bodies are present. Given that these came from only a small part of one chamber, it is highly likely that more individuals will be found. Furthermore, the bones cover the whole age range of human life, from the elderly, through to tiny newborns. With examples of pretty much every bone in the body, this is a huge and unusual treasure trove of knowledge. Homo naledi upended the paleoanthropological world in more ways than one. Paleoanthropology is in some ways old-fashioned field. Finds, especially those of significance, are studied over a long period by a restricted group of specialists before being announced. There is intense competition, and privacy and exclusive rights to study new material are often paramount. Berger handled Homo naledi differently. Remains were studied in an intensive 6-week long workshop involving a massive international team of scientists before the results were published in an open access journal in 2015. 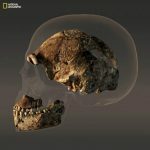 The unconventional approach attracted critics, but also offered rapid and free access to the data and scans of the fossils – anyone in the world can now download and 3d print their own Homo naledi. Any scientist in the world is free to study it. Other than the number of fossils found, what makes Homo naledi so unusual? Human evolution is often (wrongly) imagined being a straight(ish) line. At the far end, millions of years ago, are the early hominins who share many features with apes – smaller brains, larger teeth and jaws, and limbs still adapted for climbing trees. At the near end are modern humans, standing tall with large brains and small jaws perched atop long straight limbs. And along the way are the intervening early humans, becoming more upright and bigger-brained, more human-like, as evolution progresses. That’s the old idea, but it isn’t how evolution works. It is not an ordered progression from primitive to modern, but instead a case of adaptation. Older traits stick around if they work. New traits evolve and are selected for if they meet a need. Features such as brain-size and limb shape come in and go out one by one, creating species with mixtures of traits shared with modern humans or early hominids. As seen in the evolutionary history of many other animals, some species stick around across millions of years, evolving into newer forms, while others go extinct. We now know that the path from our hominid common ancestor to a modern human sitting at a keyboard is not a line, but a dense thicket. Homo naledi hit the news as a spectacular example of this. In all the aspects that paleoanthropologists use to identify species – limbs and teeth, brain size and skull shape, H. naledi threw up a mixed bag of characteristics. For example, its fingers are curved, an adaptation for climbing seen in modern and ancient apes. But the rest of the structure of its hand looks modern. The foot could be mistaken for a modern human, while the bulk of the body is like that of early hominins. The head is oddest of all – overall the skull looks like that of an early human, but the brain is tiny. The average human brain weighs about 1352 g, in a brain case of around 1200 cm3. 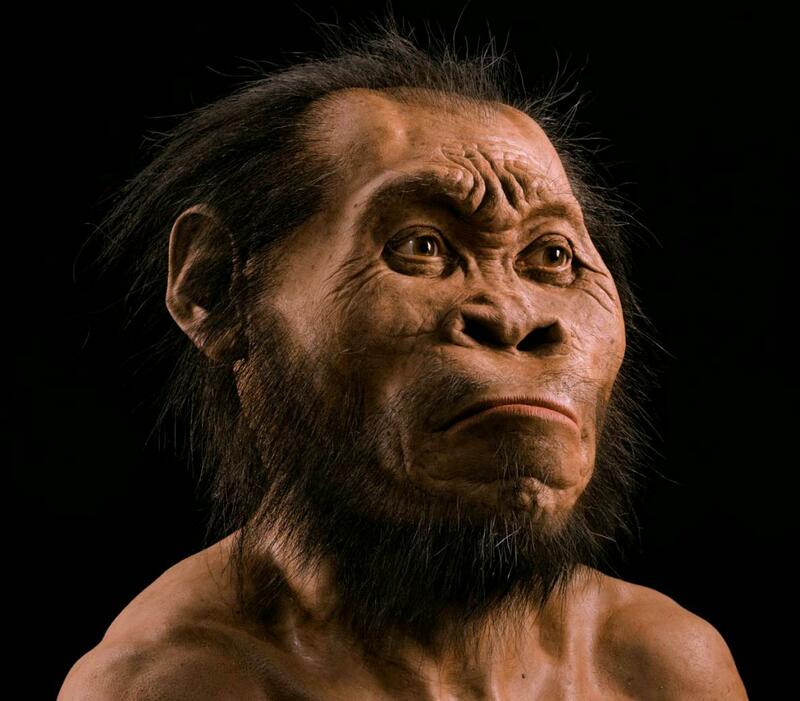 Homo naledi clocked in with a brain case of 560 cm3 for a fully grown male. 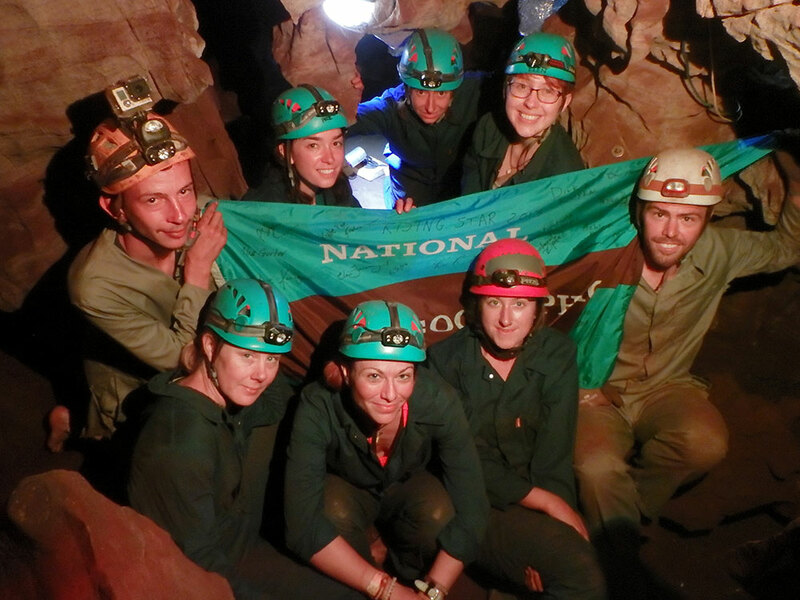 The finds in Rising Star cave raised more than just anatomical questions. One of the first issues Berger and his team faced was how to enter the Denaledi chamber where the fossils were found – the only entry being a narrow passage. The scientists solved that problem with a crack team of lightly built excavators. But how did Homo naledi get in there and why? As H. naledi were smaller than modern humans, an 18 cm gap to enter the chamber was probably less of a challenge for them than for well-fed modern scientists. But the ability to enter the cave doesn’t explain what they were doing there. One of the most common types of fossil deposits found in caves are pitfall traps. These occur when there is an opening or chimney between the cave chamber and the surface. Animals fall in and can’t get back out. Over time a huge deposit of bones can build up. However, pitfall traps have two distinctive features that aren’t present in Rising Star caves – evidence of a surface opening above the chamber, and an accumulation of a range of animals. The 2013 excavation in Denaledi chamber found Homo naledi, and not much else. Another common way of forming bone deposits in caves is predators such as big cats or bears (or owls for smaller mammals) bringing their kills in. However, again, the deposits at Rising Star showed no evidence of this. A predation deposit has obvious characteristics – bite marks on the bones and a range of animal remains, as predators eat what they can get. Could it be flooding? Caves, being underground and carved by water, are frequently subject to flash floods which wash in sediments, rocks, and bones. However, floods leave tell-tale marks in the sediments, and break and mix-up bones, all signs that were absent. The evidence to date – a deposit of one species, with relatively undisturbed bones – suggests that Homo Naledi entered Rising Star caves of their own accord. Maybe they went in and got trapped. Or perhaps, the corpses were placed there deliberately. The latter idea is controversial because disposal of the dead, while not uniquely human, is not a known early human behaviour. Prior to the discovery of H. naledi, Neanderthals were the only hominin species besides Homo sapiens believed to inter corpses. Neanderthals are recognized as a sophisticated member of the human family. Living in Europe as recently as 30 – 40,000 years ago, they had big brains, made art, and cared for their injured. The small brained Homo naledi is a very different proposition. If further evidence proves that they did deliberately place the dead in caves then our understanding of early human behaviour significantly changes. 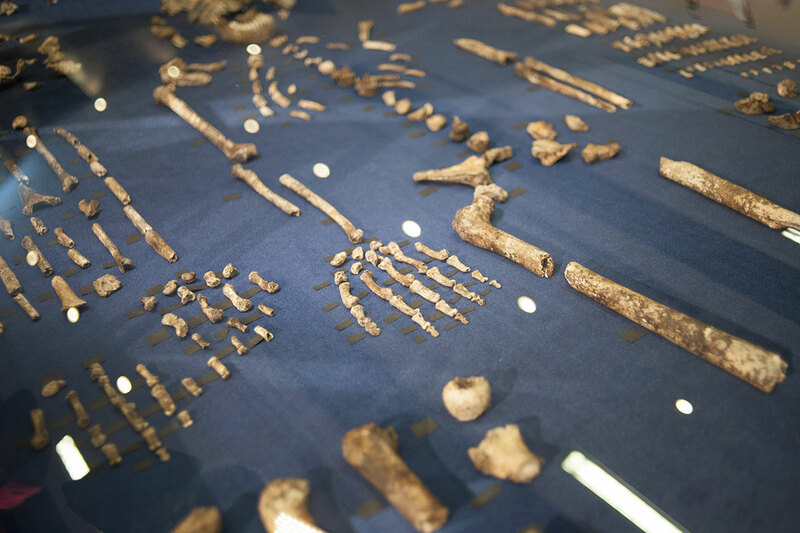 When originally announced to the world in 2015, no one knew how old Homo naledi was, opening up speculation as to where it sat in the human evolutionary tree. Could it be the missing link, connecting the genus Homo to the earlier hominins? Or is it a wacky relative, branching off the early human line on an adventure of its own? When the dating came in it was a big surprise. Dated at between 253,000 and 200,000 years ago, H. naledi is a young cousin to modern humans – and, with the new dates for the earliest Homo sapiens, a neighbour. This throws up all sorts of complications in our evolutionary story. The development of later species in the genus Homo is interpreted as a response to environmental pressures. Walking upright, eating a very varied and flexible diet, and having a big brain able to cope with complex problems are all seen as a response, and a prerequisite, to hominin survival in a rapidly changing habitat with sharp climatic variations. 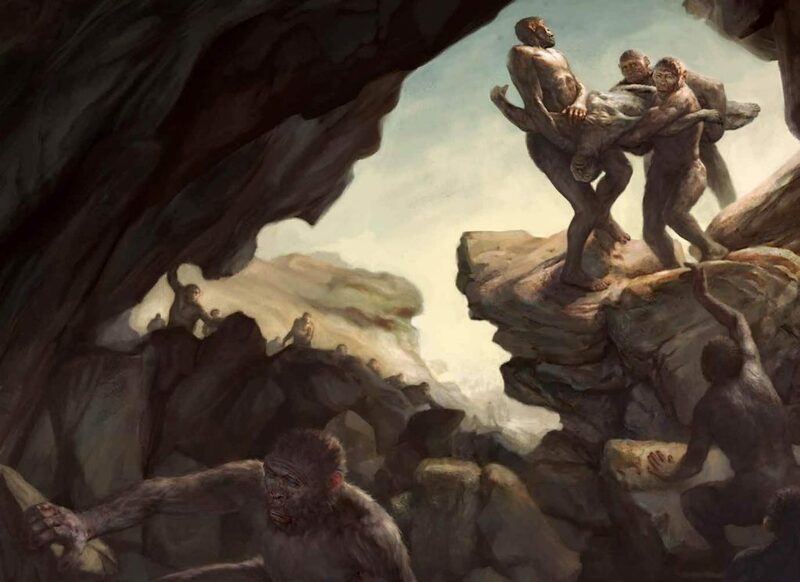 Whilst short, small brained Homo naledi doesn’t fully challenge this concept of the survival of the adaptable, it does raise new questions about what adaptations were essential, and who could survive. Of course, the relatively modern age of these fossils doesn’t rule out a much older origin for Homo naledi. At present, we only know the species from one cave system, at one point in time. Furthermore, the dating of fossil remains is a tricky business, and ages can sometimes get revised, as recently shown by work on Liang Bua cave in Indonesia. Home to another game-changing new species of extinct human, Homo floresiensis, which rewrote our understanding of early humans outside Africa with its discovery in 2004, the fossils were originally dated to 18,000 years ago. Research in 2016 moved these dates back, placing H. floresiensis between 190,000 and 50,000 years old. Until other specimens are found at new sites, we won’t know when Homo naledi first appeared in the thicket of human evolution, or when it went extinct. It may turn out to be one of the longest lasting Homo species, evolving its mix of traits near the roots of humanity and living through to see modern humans come on the scene, evolved from its descendants or cousins. Or it could be an isolated branch, evolving and dying off in quick succession. Homo naledi adds much excitement and interest to our understanding of human origins, but as always in this field, raises as many questions as it answers. This article was written by Dr. Alison Blyth, a scientist and freelance writer specializing in earth and environmental sciences.